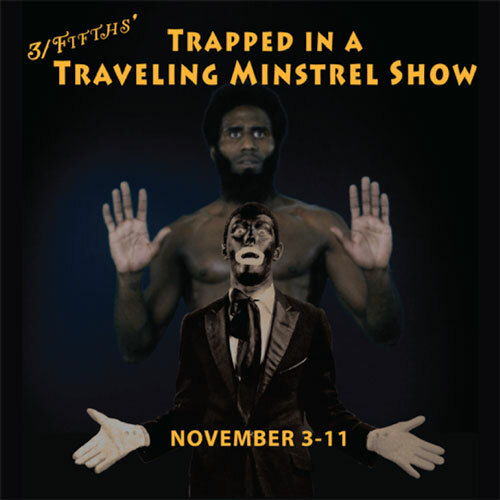 James Scruggs’ 3/Fifths’ Trapped in a Traveling Minstrel Show addresses America’s original sin in a blend of song, dance, video, and storytelling — at turns hilarious, terrifying, and sometimes both at once. 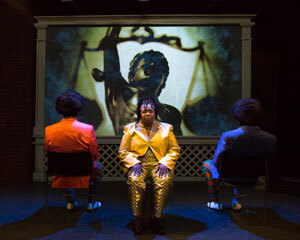 This lean, mean theatrical machine featured three high-voltage actors slyly performing this country’s racist history and ongoing need for dialogue and change. Directed by Mark Rayment and video design by Jason Batcheller. 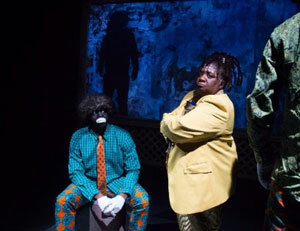 Elliot Norton Award, Outstanding Production (Fringe). ArtsFuse, Best Stage Productions of 2017. 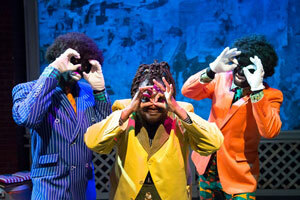 The ARTery, Year in Local Theatre highlight, 2017. “We have come to a point where videos of the killings of unarmed black men by police are viewed like paintings. Their meaning is interpreted differently depending on your perspective,” says Scruggs.